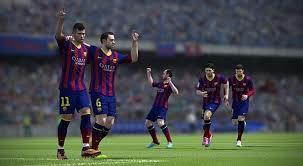 F.C Barcelona have joined forces with EA Sports FIFA 14 to become the official club partner of the upcoming football game on a three-year deal. The Barca YouTube channel released a video that showcased the news to the world and EA announced the news via social networking site Twitter. 3D head scans have been captured by the FIFA 14 developers team and they’ve added 17 players that will have full digital player models. Some of the names included are Lionel Messi, Cesc Fàbregas, Andrés Iniesta, Xavi and Dani Alves. The world famous footie club will also be holding an exclusive video game tournament that will be used to identify the best Barcelona player in the latest installment. The Camp Nou, (which is Barcelona’s home stadium) will also feature in the title, and will even have a mobile gaming trailer in the EA SPORTS Dugout for fans to try out EA’s whole host of video games. FIFA 14 will be shooting it’s way to North America on the 24th September, and on the 27th for the rest of the world. For now though, check out the new video trailer footage below.